which will innovate the powdering process altogether. during manufacturing process, we strongly recommend our device. When using POLIMIX, the powder does not have to be poured. for manufacturing process is not a problem when using POLIMIX. 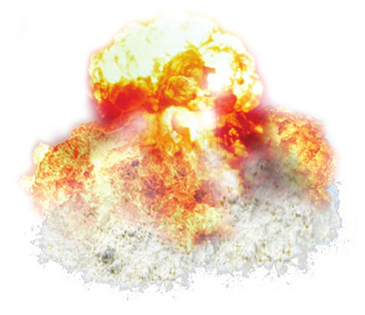 explosions in our every lives which occur from flours and starch. only a small amount of time for it to catch on fire and explode. It is also known that this kind of explosion tends to inflict enormous damage. in manufacturing should always be required. environment with POLIMIX of K&S COMPANY. Recently built pharmaceutical factories have far exceeded the KGMP[Korea Good Manufacturing Practice: Korean standard for quality control in superior pharmaceutical manufacturing] and is now satisfying EUGMP[European standards] which significantly increases the demand for hygienic manufacturing environment. This phenomenon not only limited to the pharmaceutical field but also in other fields such as food, chemicals, electronic materials and cosmetics. Especially powders with color such as Carbon black, is not easy to clean or manage when it is blown around. 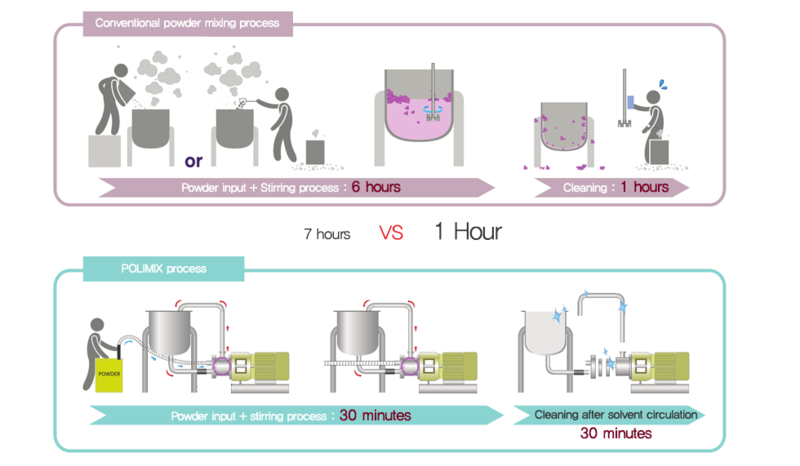 When using POLIMIX there is no powder flying around which keeps the environments sanitary and safe for experiments and production, increasing the competitiveness. 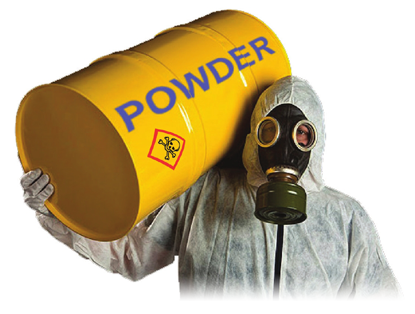 Also there is no need to pour the powder from above into a container to mix with the solvent. 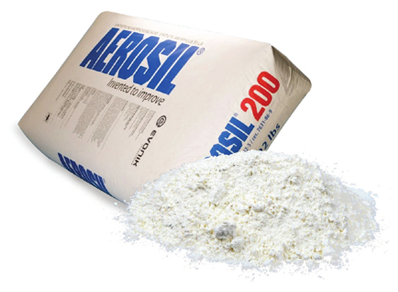 This will not allow the mixture to create any lumps around the walls of the container or the mixing axis, in turn eases the cleaning process of the containers.